Went to Akrotiri for the morning hoping for some raptors – two Marsh Harrier, one juvenile Montagu’s Harrier, another ring-tailed too far away to ID and two Honey Buzzard was not the total I was hoping for – very disappointing. There were good numbers of Turtle Dove around with some European Bee-eater passing over and several Lesser Grey Shrike and Whinchat. Both Bishop’s Pool and Zakaki Marsh had some interesting waders including Temminck’s and Little Stint, Common Greenshank, Dunlin, Spotted Redshank, Curlew Sandpiper, Common Ringed Plover and Collared Pratincole. At Zakaki there was a White-winged Tern and a Whiskered Tern was in the Gravel Pits area. Still several Little Egret, Glossy Ibis, Black-winged Stilt and Spur-winged Lapwing at Zakaki, where there were also two Common Kingfisher and a couple of Ferruginous Duck. A Great Reed Warbler and Hoopoe were at Phassouri Reed Beds. 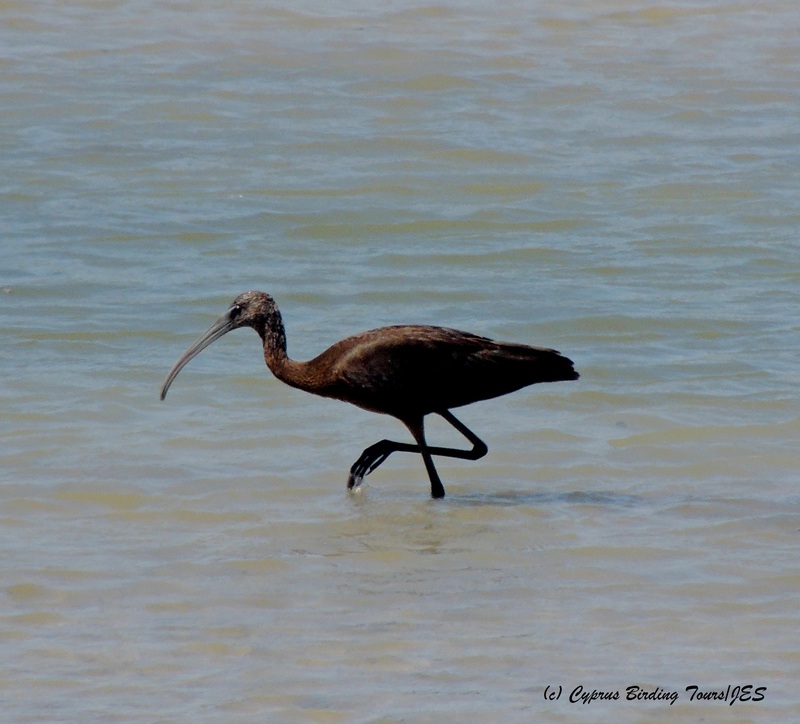 Categories: Birding | Tags: Akrotiri birds, Black-winged Stilt, Collared Pratincole, Cyprus birds, Cyprus birdwatching, Dunlin, Glossy Ibis, Lesser Grey Shrike, Spotted Redshank, Spur-winged Lapwing, Whiskered Tern, White-winged Tern | Permalink.